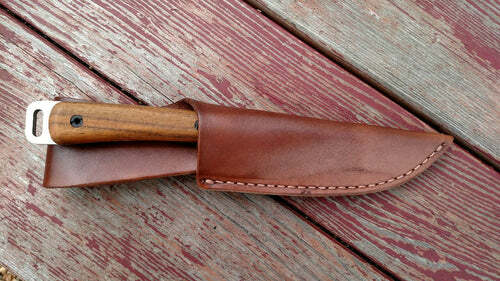 The "Boat Knife" was designed to be the perfect companion near the water. Compact enough for easy carry, but big enough for any cutting challenge. The hand ground blade is made from LC200N, a Nitrogen infused steel developed to resist corrosion and rust, even in salt water. We are proud to be the only company currently manufacturing a LC200N ultra-corrosion-resistant knife here in the USA . At a length of 8", this is a knife you can wear with the included leather sheath, or keep with your tools, tackle, or in your galley or kitchen. Featuring a versatile drop point blade design, perfect for preparing food, cutting rope, or slicing bait. The tip is beveled to allow for poking and prying. The pommel features a lanyard hole for extra security. 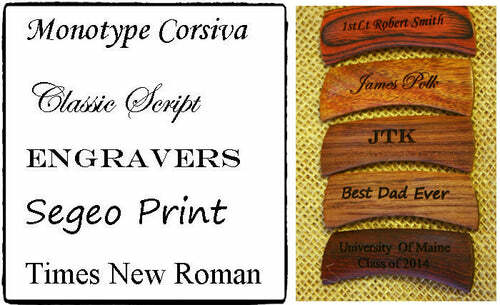 Handles are made from select pieces of cocobolo or teak. Both materials are beautiful hardwoods that are extremely durable and water resistant. Each handle is unique and will have its own character.